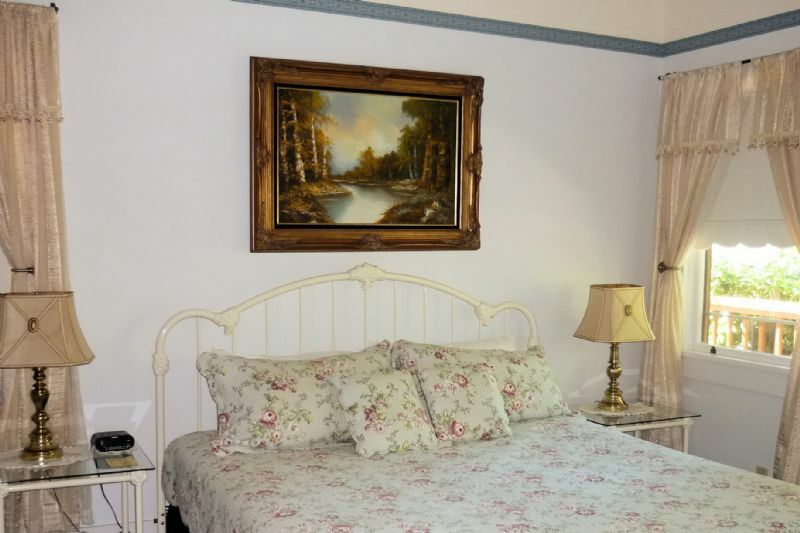 Our room rates start at $200, which includes tax and a wonderful country made breakfast each morning. Mention that you found us on the Internet and you'll receive a 10% discount! Tell us how many people are in your group, what kind of sleeping arrangements you prefer and we'll take care of you! 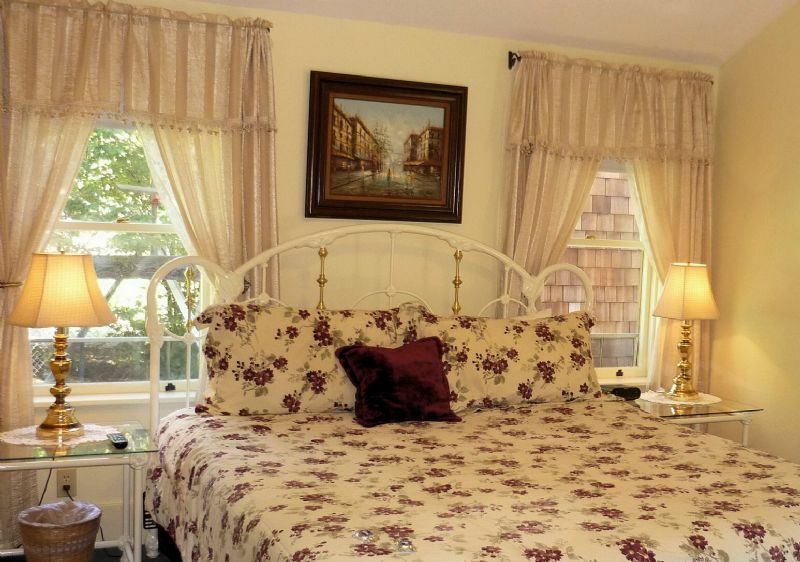 Our Inn has 10 rooms, so we can sleep approximately 30 people. 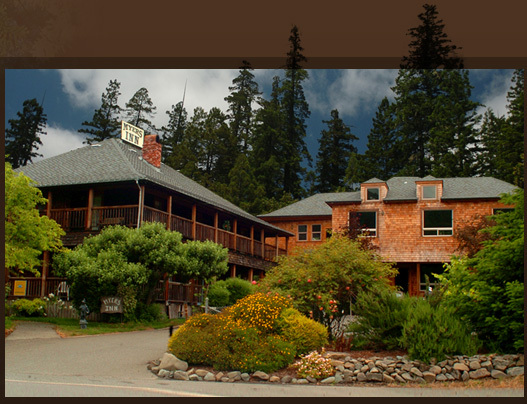 This is the perfect place for that family reunion, retreat, wedding, shower, or conference. It's a place where everyone can gather. We have a lovely backyard for breakfasts, lunches, sunbathing or just visiting and taking in the breathtaking surroundings! If you have an event coming up, we will be glad to put together a plan for you and help you with any arrangements. We are a NO SMOKING Inn! 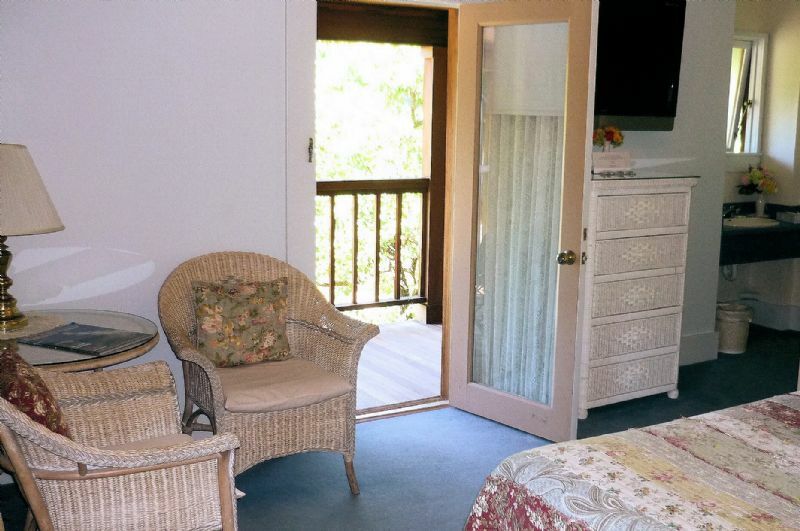 All the rooms are light, airy, and impeccably clean. Each has its own private bathroom, air conditioning, writing desks, free wi-fi and feature a 42" flat screen TV. 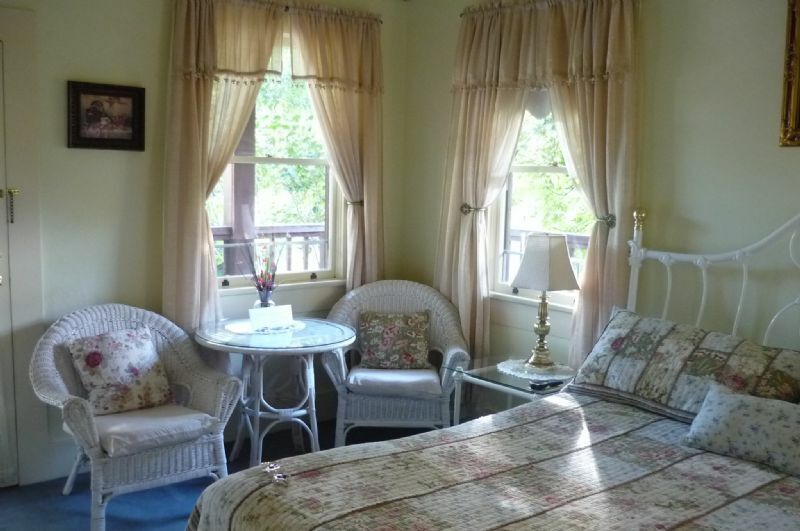 Rooms 2-8 have their own doorways out to the wrap-around verandas (porches), while room 9 has a private balcony. 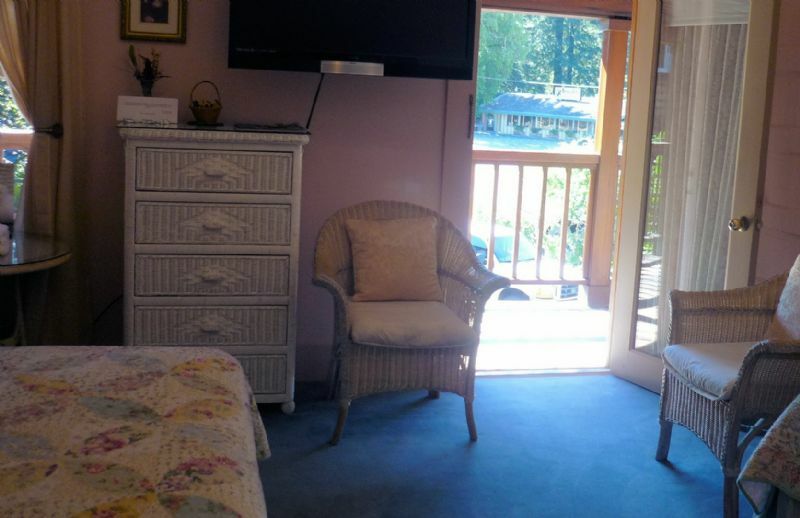 From these verandas you can look out onto the surrounding redwood-covered mountains, which reveal a hidden treasure of nature full of wildlife. Squirrel's are seen dancing in the redwoods gathering acorns, while the sounds of the forest fill your ears. The sunset over the horizon serene and the smell of pure mountain air refreshes your lungs. 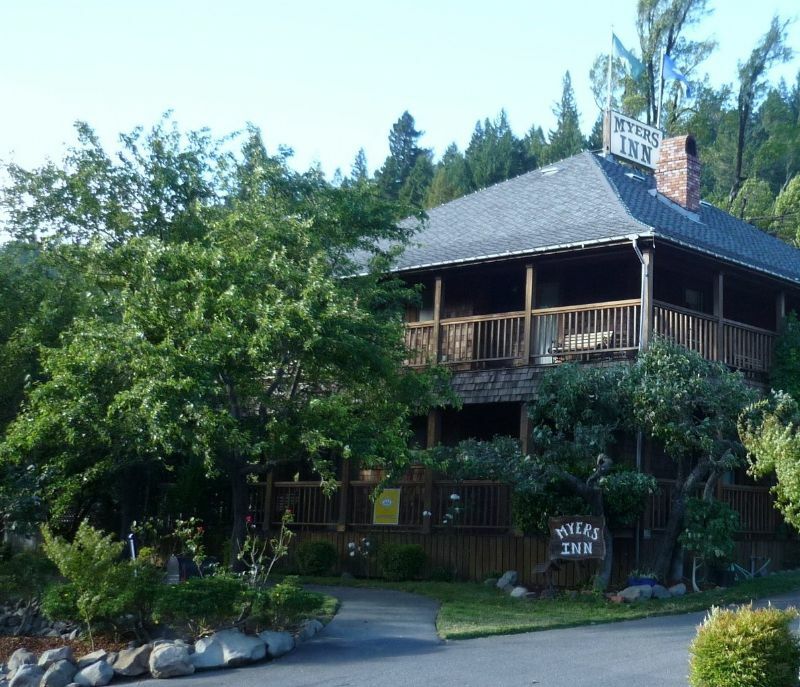 Sleep peacefully amongst the giants and plan your next getaway at the Myers Inn! If you think the redwoods are amazing in the summer. Just imagine how incredible they are in our mild winter. 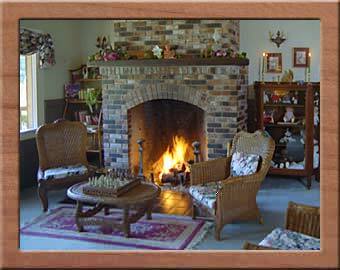 Ask us for special package rates and come enjoy a toasty cup of hot cocoa by our roasting fireplace. As the fire glows and crackles , you will look out the window in awe as the mountains reveal a hidden very green winter! There is a 7-day cancellation policy for regular reservations. During special area events such as the Avenue of the Giants Marathon, The Redwood Run, and Reggae on The River / Reggae Rising, special room rates will be in effect. Reservations during these events require a 2-night minimum stay and have a 30-day cancellation policy, as well as a 50% non-refundable deposit. Please call for special events room rates and availability.